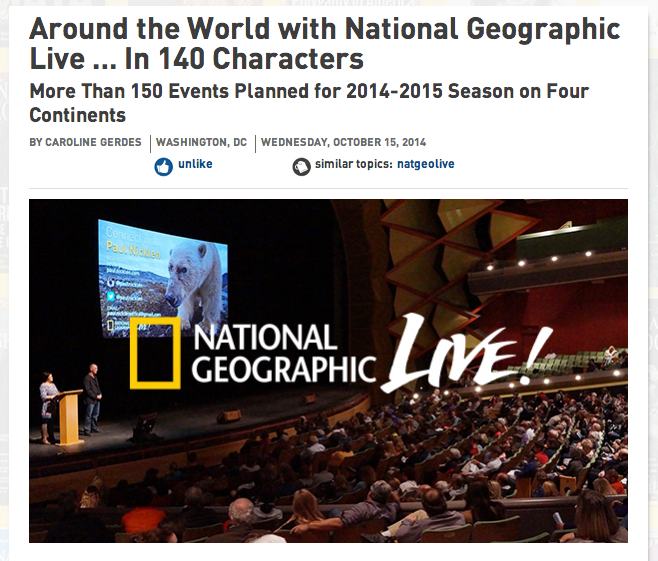 I recently did some consulting work for National Geographic Live, the live events division of National Geographic. 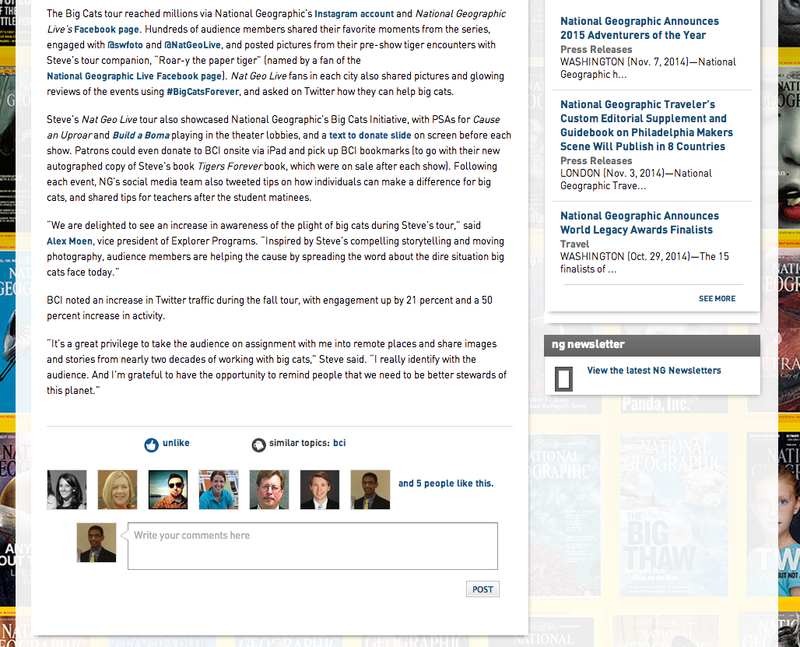 As a social media and marketing consultant, I assisted with the launch of the National Geographic Live Facebook page and wrote National Geographic blog posts about the division’s speakers. 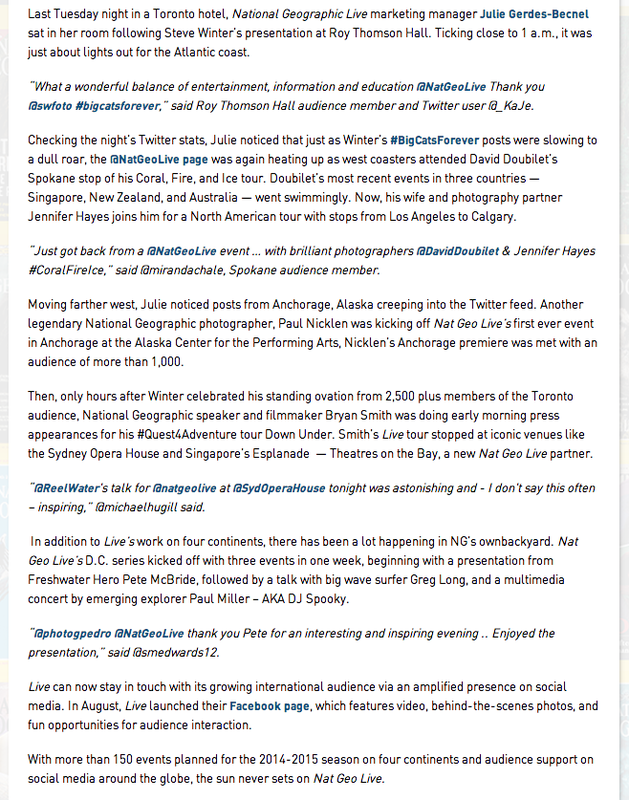 Here are a couple of posts I authored for National Geographic’s intraweb blog, NG Connect. 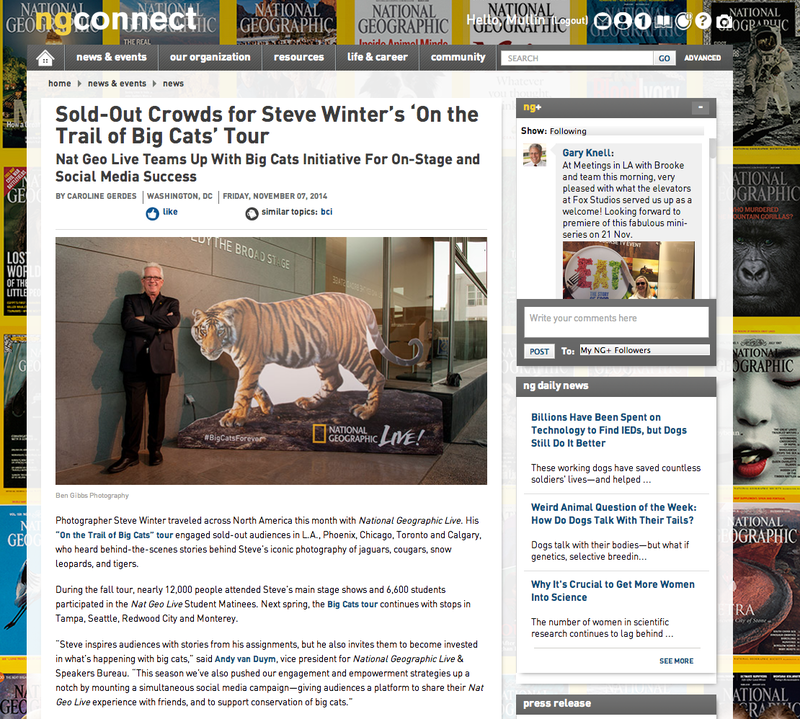 Next Next post: Did you catch Big Cat Week?